Salad therapy – Mediterranean flavours | Life's Conundrum - Eat to Live or Live to Eat? Had a lovely salad tonight using the last of our garden cherry tomatoes and an Apache chillie in the vinaigrette. The vinaigrette was a bit of an experiment but I think the flavours work really well together. 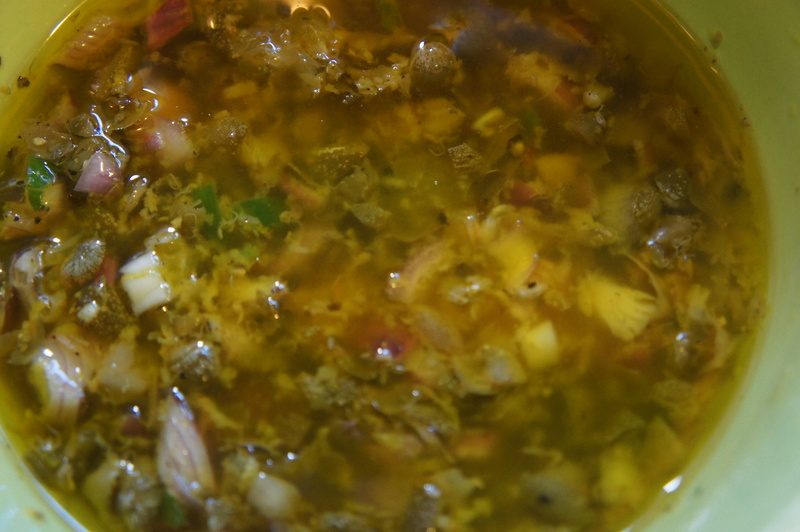 Prepare the vinaigrette by add the oil to the chopped ingredients and then whisking in the lemon juice. Place the salad ingredients in a large bowl and dress the salad with the vinaigrette. Transfer into salad bowls and enjoy. 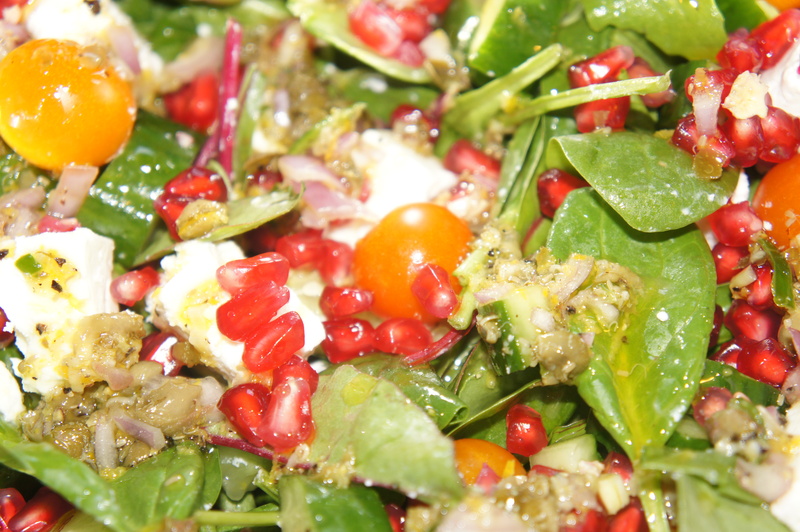 Posted on September 18, 2013 by Anna and Shiv	• This entry was posted in Recipes, Salads, Sauces and vinigarettes and tagged capers, Cherry tomato, chillie, Cook, Feta, feta cheese, Home, Leaf vegetable, mediterranean, Olive oil, pomegranate, Salad, Vinaigrette. Bookmark the permalink.